Successfully Added Bluetooth 3.0 Keyboard for Google Nexus 7 to your Shopping Cart. Wireless Bluetooth 3.0 Keyboard for the Google Nexus 7 with QWERTY layout. Lightweight and extra thin, this tablet serves as a 3-in-1 gadget for your tablet! 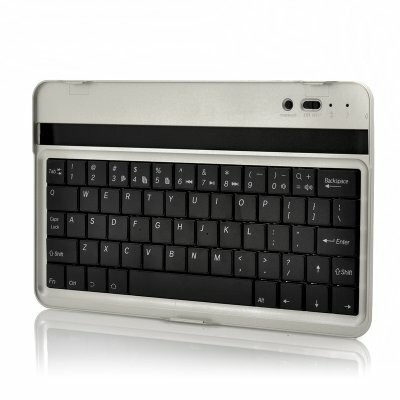 This QWERTY Bluetooth keyboard is designed specifically for your Nexus 7 and makes using your tablet much easier. Not only will you be able to input text faster, this keyboard also doubles as a protective case for the Nexus 7 and comes built with bluetooth 3.0 for even faster and more reliable connection to your tablet. Just snap the nexus to the keyboard and both products will merge into a lightweight and transportable enclosure. And as a third great feature, you’ll be able to place your tablet into a comfortable typing and viewing position onto the keyboard. 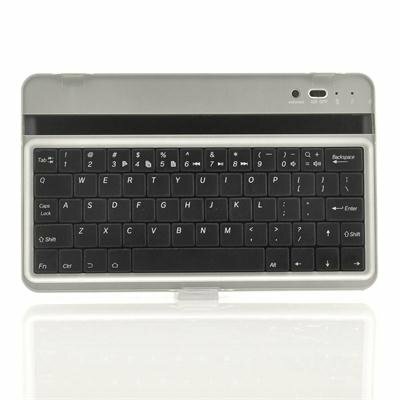 The built-in battery provides enough power for your keyboard to operate a few hours and pairing your tablet to the keyboard only takes a few seconds. Order this indispensable keyboard for your Nexus 7 today! Brought to you by the leader in wholesale electronics and tablet accessories, Chinavasion. Does exactly what I hoped - Bluetooth pairing works fine, fits the Nexus 7 (2012) perfectly, and even has an (almost) matching rubberised dimpled back, to turn my N7 into a mini-laptop. Highly recommended! Nothing - just what I wanted!